Are you looking for an excellent low rate on a car loan or lease option in Shreveport, Louisiana? 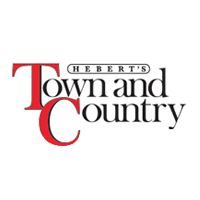 The Hebert's Town And Country Chrysler Dodge Jeep Ram auto finance department is skilled at getting our Shreveport-Bossier City, Louisiana area customers a low rate on a car loan or a great lease rate. We work with a variety of lenders to help all of our customers secure a loan, even those with no credit, or bad credit! Our website also helps our Louisiana customers to finance their new or used car with our easy online application form below. Stop by the dealership at 1155 East Bert Kouns Industrial Loop, Louisiana, to talk to a financial representative in person about a Shreveport, LA car loan or lease.